WASHINGTON – A new report out today from Consumers Union, the policy and mobilization division of Consumer Reports, finds that car buyers are getting better fuel efficiency at a lower cost, while vehicle prices have remained steady. The report finds that new car prices have remained relatively flat over the past 20 years, and used car prices have actually fallen, while fuel economy continued to increase. The findings rebut automaker claims that increasing fuel efficiency hurts car buyers. “The new analysis demonstrates that fuel efficient technology pays for itself and is a boon to car and truck buyers that benefit from the savings greater efficiency offers,” said Shannon Baker-Branstetter, policy counsel for Consumers Union. “In fact, had it not been for fuel economy standards, the average consumer would be paying $523 more in annual fuel spending. Car buyers are enjoying higher fuel economy than before – and they are paying less for it. The report finds that the average price of new cars and light-duty trucks has remained relatively flat since 1997, while prices of used vehicles have fallen slightly. Over the same period of time, average fuel economy of cars and trucks has continued to improve. 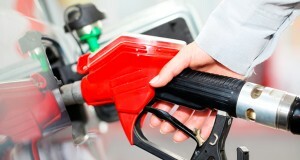 Fuel efficiency improvements have been a boon for consumers. If fuel economy had not improved from 2005 through 2015, households would have spent 25 percent more on fuel in 2015 than they actually did, approximately $523 annually. The price of entry-level vehicles has remained approximately the same over the past 10 years. The most affordable vehicle among the top 30 sold in 2015 cost the same (in real terms) as the most affordable top 30 vehicle sold in 2005. Meanwhile, the price of the most expensive of the top 30 vehicle increased by 40 percent between 2005 and 2015. While the prices of new and used cars have remained flat or have fallen in real terms, low-income households are under increasing financial pressure from higher prices of other household goods and stagnant wages. The average prices of all goods have increased by about 50% over the last 20 years, according to the Bureau of Labor Statistics. Education and gasoline costs have risen even faster. Higher prices have been accompanied by stagnant wages, leaving low-income households behind in an otherwise growing economy. An earlier Consumers Union study found that owners of vehicles that meet the 2025 fuel economy standards could expect to save $3,200 per car and $4,800 per truck, even with low gas prices, over the vehicle’s lifetime. Those savings will increase if gas prices go back up. The benefits of improved efficiency in new vehicles also make their way to the used car market, which accounts for 70 percent of vehicle sales annually. Low-income households spend a higher share of their income on fuel (4.3% of annual income, compared to 0.9% for the highest earners), and are more likely to purchase a vehicle in the used car market. Higher fuel economy standards lessen the financial strain on low-income household budgets, whether they buy new or used vehicles. “Lobbyists for the automaker and oil industries have been making a concerted effort to weaken fuel economy standards in recent months. As this report illustrates, if they succeed in rolling back the standards, it would hurt consumers, especially the lower-income buyers they purport to speak for,” according to Baker-Branstetter.